I made a page for the GAL so that it’s easy for me to explain what it is, how it works, and how people can participate: GoalAlong. It outlines how this will work. At least at this point. After all, I want this to be a community and that means incredible things might grow out of it. Here’s how far I’ve gotten on my own plans. I’ve picked 5 focuses, although I really wanted to keep it to 4. But the reality is that I wear many hats and if I trim something I’ll probably cut something that’s important only to me. In other words, I’ll short-change myself, and this is about balance. February: Host dinner or games night. Go to one knit night. March:Host dinner or games night. Go to one knit night. April: Host dinner or games night. Go to one knit night. This goal needs some thought still. I’ve also started a Habit Tracker page in my bullet journal, with habits I want to build or strengthen blocked out. It’s a way of scheduling things over the whole month and reminding myself to do them. 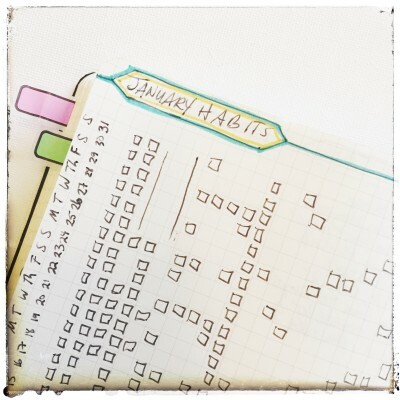 Ooh, I need to know more about the habit tracker!